Please consider giving $10 $20, $50 or more to support the work of saving the history of Westminster. Those before us have shared their stories, how and why things happened during their time. We can only understand why we are what we are as a city when we know what was going on in the past and why decisions were made. ​Give anytime. You can donate one time or set up a recurring donation. 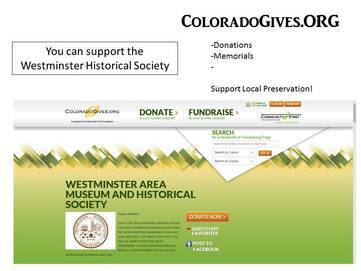 Look for the Westminster Historical Society at ColoradoGives.org, select the “Donate” button and be a part of history today! Use goodsearch.com (powered by Yahoo) when searching the internet. Designate the Westminster Historical Society as your charity of choice and we get a penny for every search you complete! 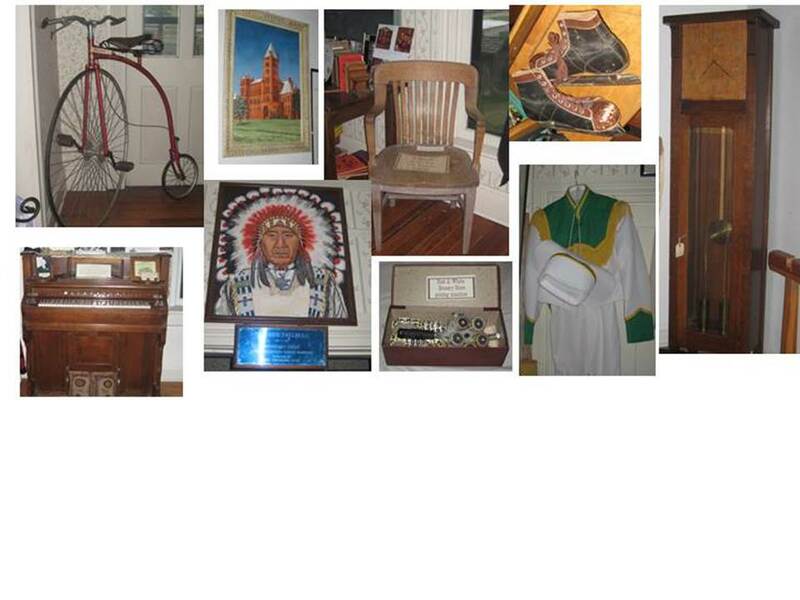 Adopt one of our Bowles House artifacts. For as little oas $25 our name will be displayed by that artifact as an A-an-A donor! Contact us as westminstercohistory@gmail.com to show you how. Attend our Events -- check out our calendar for upcoming fun!